The markets are terrible, I know. But there are signs that the current maelstrom wont last forever. 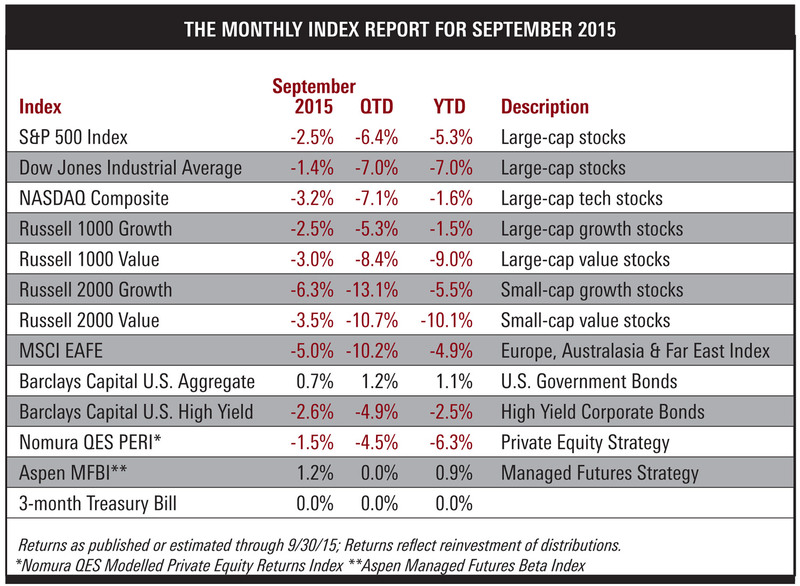 After a rough August, stocks took another beating in September. What gives? The recent pullback is the result of a number of macroeconomic events that may culminate in the first tradeable bottom in several years. While the Chinese slowdown proved to be the starting point for the current slump in equities, the drop in commodities is large enough to deserve a place on the marquee of bearish developments. The inability of the Fed to make a decision on interest rates only adds to the confusion and uncertainty in the marketplace. And let’s not forget the credit markets. High-yield bonds are swooning. Investors are less likely to buy new issues because of the risk of rising rates. This will impact global M&A, since banks are so unwilling to lend. Sounds terrible, I know. But there are signs that the current maelstrom won’t last forever. From guru warnings to brokerage firm prognostications to mea culpas, contrarian signals for the end to carnage are abundant. The first indication of a bottom will be a recovery in the high yield asset class. We saw that occur in 2009, as high yields gave a great buy signal months before the market bottomed. That would be enough for me to deploy some dry powder.